In the horticulture world, a high tunnel build is a bit like a barn-raising. Hear from the diverse group who joined together over two sultry summer days to help Sara Hanson build hers. In August, 50 members traveled to Cabe Brown’s ranch in North Dakota. For many, it was the trip of a lifetime. Read about the visit – and members’ reflections on it. For years, Mary Damm made the 8-hour drive from Indiana to visit Dan Specht’s farm near McGregor. After his death, she was determined to see that his farm legacy and ethos would live on. In this essay, she reflects on their friendship – and her effort to purchase Dan’s land. 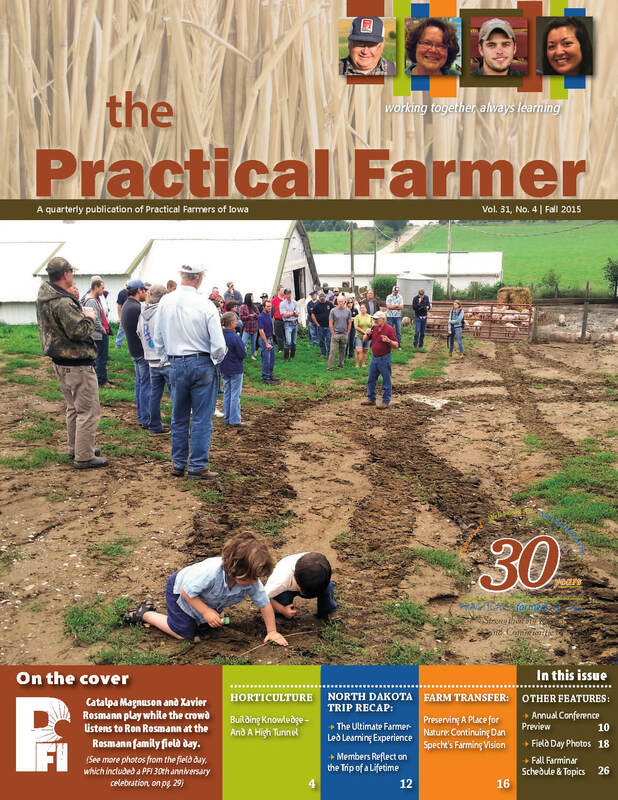 For the Lipes family, careful planning helps them turn their farm philosophy into a reality.